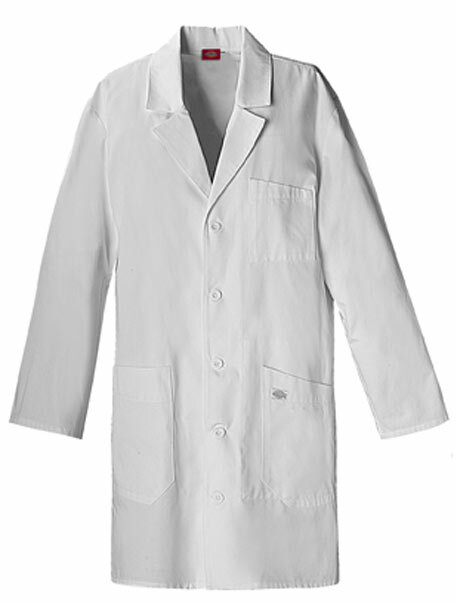 iPad Unisex lab coat features a notch collar and lapel, button front closure, and a total of four pockets; one chest pocket, two exterior angled pockets, and one interior pocket to fit an iPad. 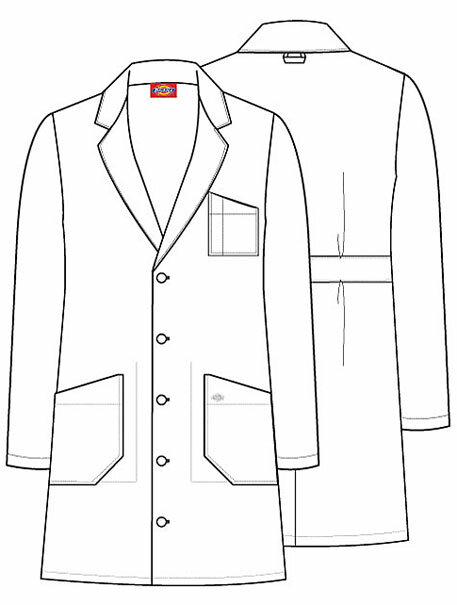 The back features a locker loop, pleats and stitched down back belt. Center back length: 37".